110 & 220 Volt Steam Ovens? 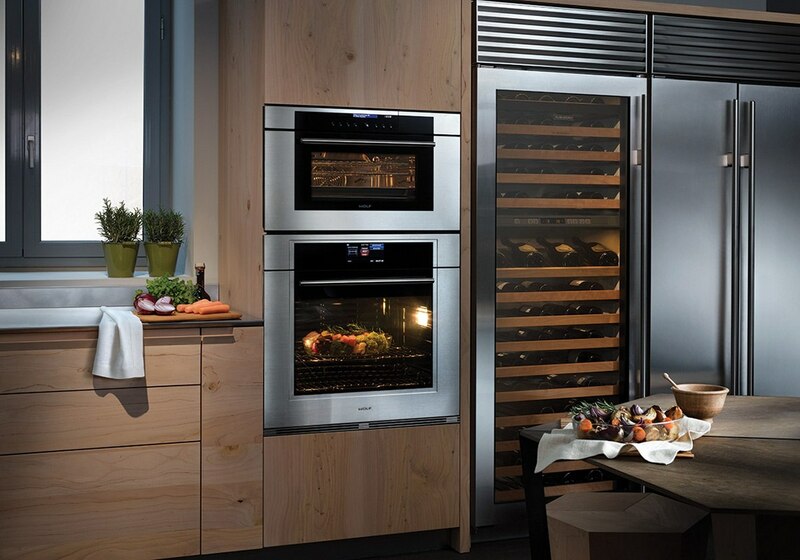 Miele will have the most products in the steam oven category and are known for their reliability. They are still one of the only companies manufacturing controls and components so their build quality is considered the best. 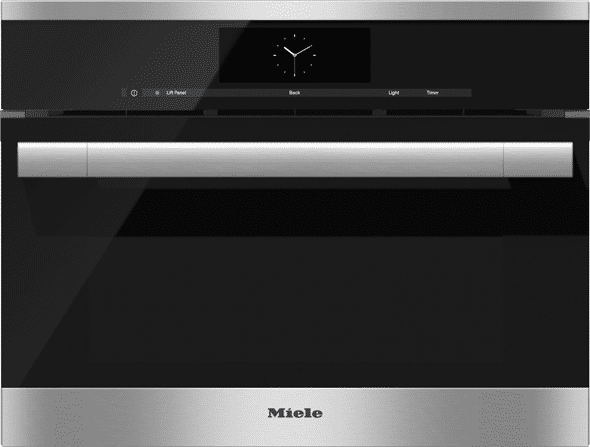 Miele has both plumbed and non-plumbed models for ease of use or ease of installation. They are great units to consider especially if you are a beginner to steam cooking because the MasterChef guided cooking controls are intuitive and simple to use. 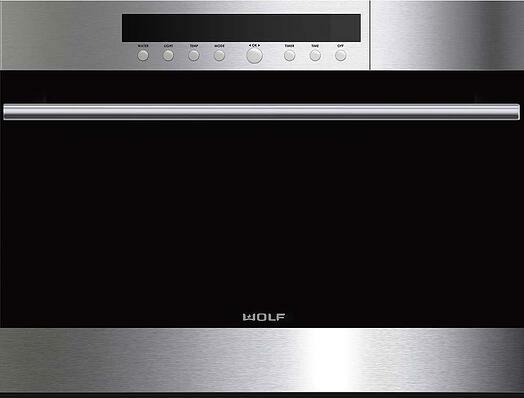 Wolf imports their steam ovens from Switzerland. Their guided cooking would be second best after Miele. They do have some specialty modes as well like Auto Steam and Convection Humid. 30" Steam Oven with 1.4 cu. 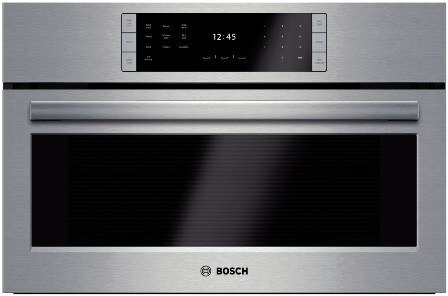 ft.
Bosch is an introductory combination or "combi" steam oven. This means it combines convection and steam cooking. It is the least expensive, but excels in fish, grains, and vegetables. The boilerplate at the bottom provides a wetter atmosphere saturating the food a bit more. You have to open the door to fill the tank inside. Because it is a wetter environment, you have to clean the mineral deposits left behind more frequently. Gaggenau is probably the least known appliance manufacturer, but their products are considered to be the best for form and function. The company’s roots can be traced back to Germany in 1683. Their units are available in 24 and 30-inch widths and can be plumbed or non-plumbed. Oven doors are hinged on the side as opposed to a drop-down door like the others. Gaggenau does not offer guided cooking, but the percentage of steam can be controlled unlike the others for many more recipe options. You can cook in every way possible including Sous Vide. However, this oven would be for a chef or expert in steam cooking due to its more complicated controls. Thermador is an upgrade from Bosch (same company). 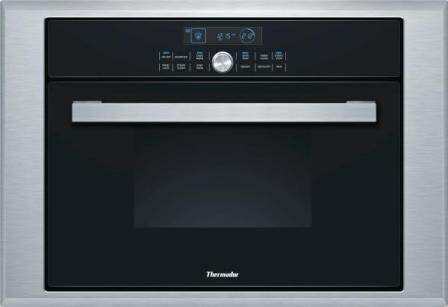 It has a small analog display and a basic guided cooking system with slow cook and easy cook as two additional modes. It allows you to cook based on the algorithm of the food weight. 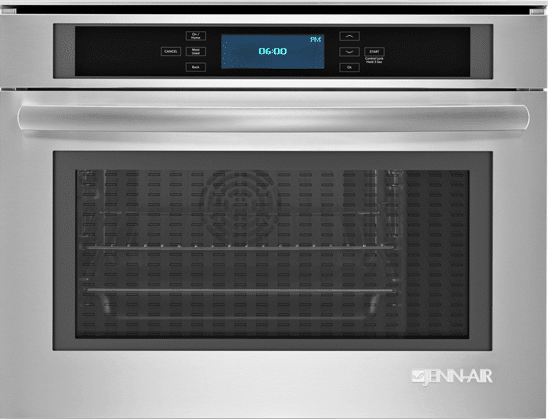 Jenn-Air is 120-volts and can replace a basic microwave unlike most of the others. Less dense foods like custards, fish, and grains cook well in this oven. However, it cannot achieve a higher temperature due to its lower voltage. Meats and more dense foods are not recommended in the Jenn-Air. Like the Bosch/Thermador, you have to refill the tank on the inside, so you can lose steam and heat in the process. Read all about the benefits of steam cooking here. Gaggenau would be the best, but I only recommend it if you are familiar with steam cooking. You will have to learn how to use a steam oven. We have two chefs on staff to teach you and there are steam classes offered regularly. You should understand how they work and be comfortable in using them before you buy. Get the Yale Speed and Steam Oven Guide with features, specs and inside tips to all the steam and speed ovens like Wolf, Jenn-Air, Thermador, Gaggenau, and more. Well over 350,000 people have read a Yale Guide.